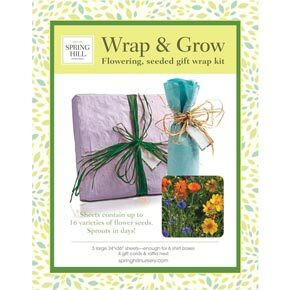 The perfect addition to any Mother's Day, Birthday or Anniversary gift, Spring Hill's new Wrap & Grow paper is infused with wildflower seeds that keep the party going long after the celebration is over. Your eco-warrior friends and gardening family members will love this environmentally sound solution to recycling paper. Plus, no matter what gift you choose, our unique wrapping paper kit is sure to elevate it to an entirely new level. 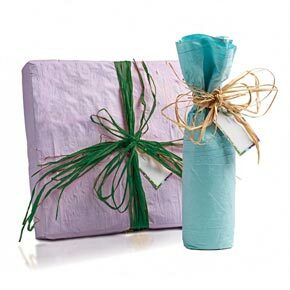 Once the gift is opened, simply place the used wrapping paper in the ground as is, cover with soil, and water. 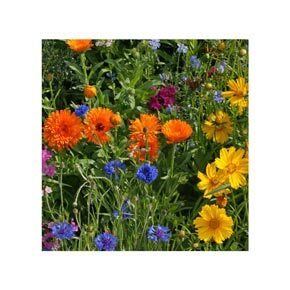 In no time, a pleasing assortment of wildflowers emerge to give a charming cottage look to any garden site. The recycled paper is pre-seeded with a wildflower seed mix. Great gift idea on its own, or add it to an existing gift. Each kit contains enough paper to wrap six standard shirt boxes. 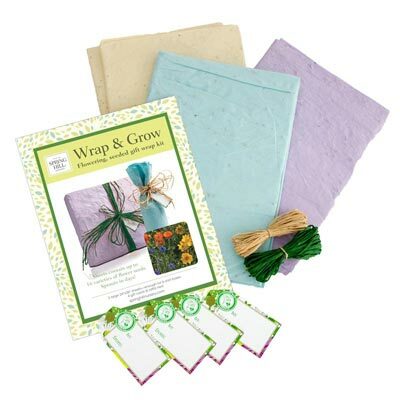 Includes: three 2' x 3' sheets of pre-seeded, recycled paper in lavender, light blue and cream; four gift tags; two bundles of raffia in green and natural; and planting instructions. Made in the U.S.A.